Every month we miss getting our Best Motoring DVD from Japan since it’s demise last year. We’d been watching Best Motoring almost since the start, and have spent uncounted thousands importing the videos directly from Japan. We thought we’d seen the last of their famous track comparisons – known as a “battle”, where Keiichi Tsuchiya and his fellow drivers pit the latest and greatest Japanese cars against each other on the track. 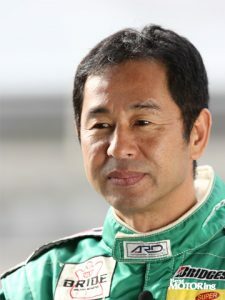 And we especially miss Motoharu Kurosawa (nicknamed “Gan-san”) as the senior driver and editor. But now Tsuchiya, Hattori, and Kinoshita are back (along with – to Western ears – an over-enthusiastic announcer), not as Best Motoring, and not on their usual track. The new series is known as “Best Motor TV” (BMTV) and it’s not as ambitious (or widely available) as Best Motoring, but hopefully it is a start. We are very happy to see them again, thanks to Nippon Television Network Corporation (NTV). This time the battle pits the Toyota 86 (Toyota GT 86 to the Europeans, and “Scion FR-S” thanks to the half-wits in Toyota USA marketing) against the Subaru BRZ and the latest Mazda Miata on the Twin Ring Motegi (ツインリンクもてぎ or Tsuin Rinku Motegi). And not to give it away, but as anybody would know anyway, the Miata looses big time. 2.6 seconds per lap. Last place. By far. Unfortunately, an S2000 wasn’t entered in the battle – and that’s what we would really liked to have seen, given that we own both a late-model Miata (“NC”, with the handling suspension package) and an S2000. And we’ll give an opinion as an owner and 30 year track rat: the current Miata with the optional handling package is too soft and too slow. In stock form its just a lousy track car. You can see it in the video when it is rolling over onto it’s bump stops in some of the turns. And the engine is nothing special… just an inherited and rather dull Ford Duratec with minimal differences. And the seats have no support. All of these issues are critical differences between the Miata and the Toyota 86/BRZ/FR-S triplets – things that the Subaru and Toyota product planners and engineers very clearly understood would be required in a serious sportscar. Yes, Mazda has more cars on more tracks on any given weekend, and a track-prepared Miata would have done well. But the major difference is that the 86/BRZ/FR-S has a much better base to begin with, thanks to the better vision of its product and engineering teams. And the S2000 even more so thanks to its fabulous engine. Rumors of an upcoming all-new Miata with an even smaller engine and even less interior space just support the fact that the days of the Miata as the “definition” of a classic sportscar are long over. Subaru/Toyota will just continue to improve their own product, a forced induction engine is on the way, the Japanese aftermarket is already providing modification parts, and the same new chassis may even appear underneath a small sports sedan in the coming years. This is momentum, which Miata has lost. In the classic Best Motoring format, the slower car (Miata) gets a head start. The acceleration test is much closer, although the triplets still win. You can see the differences in power-to-weight ratio (and they are provided in the first video).